The NASA Jet Propulsion Laboratory (JPL) operates a global network of over 60 permanent GNSS stations called the Global Geodetic Network (GGN). 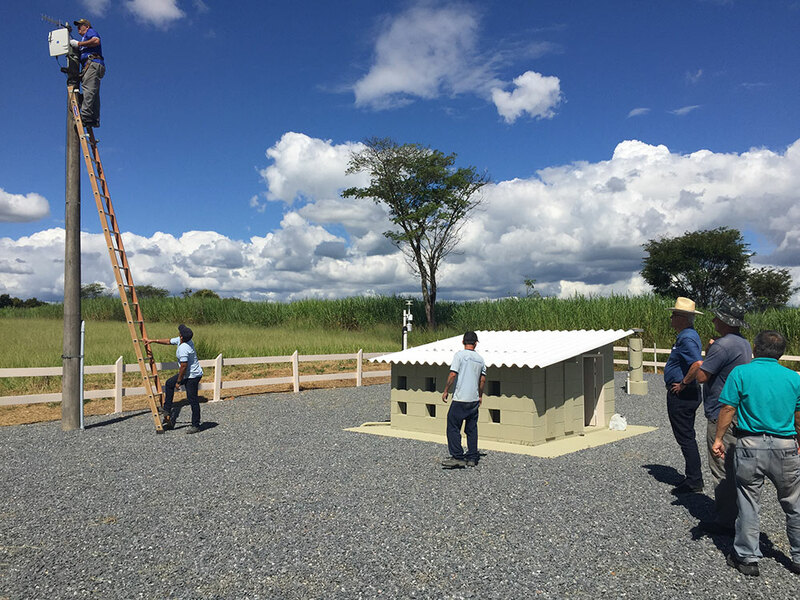 UNAVCO offers support to the GGN by providing data flow monitoring, troubleshooting, station installation and maintenance, and engineering services to help improve the capabilities and performance of station infrastructure. 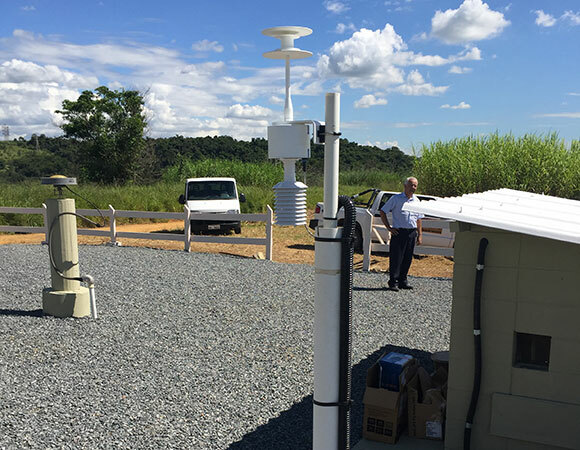 In March of 2017, UNAVCO personnel traveled to Cachoeira Paulista, Brazil to help retrofit station CHPI with new meteorological, GNSS, and communications equipment. GGN Station CHPI was installed in 2003 and contributes data to users around the world, including the International GNSS Service (IGS). Station operation is made possible thanks to the collaborative efforts of individuals at the Brazilian National Institute for Space Research (INPE), which hosts the GNSS equipment. The recent updates bring CHPI into the GNSS era. 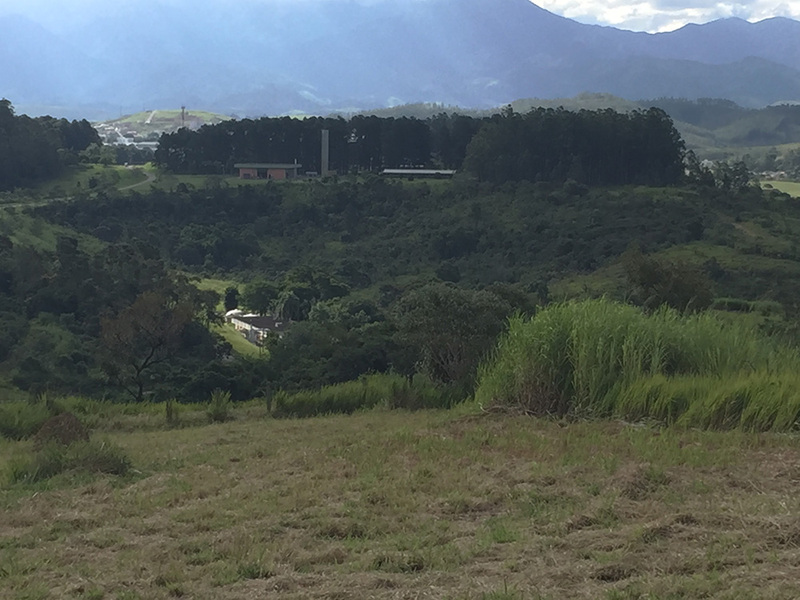 Station CHPI is situated outside the town of Cachoeira Paulista in a rural research preserve belonging to INPE. The station communicates with the nearest available network hub a half mile away via a pair of wireless radios. 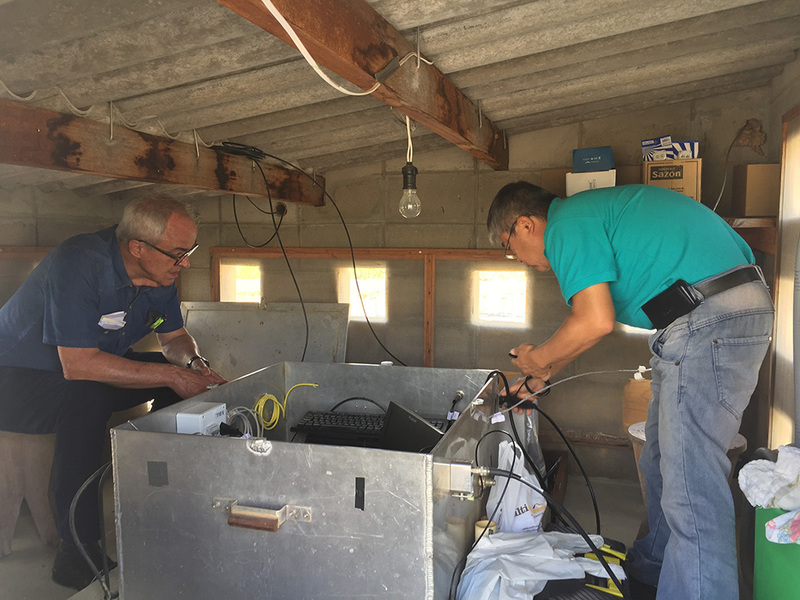 Prior to the recent field work, the older radios were no longer able to provide adequate bandwidth for the transfer of high rate GNSS data streams and files from the station’s GNSS receiver. The new radio system now allows for higher throughput, provides a more robust network connection, and allows UNAVCO engineers to actively monitor the quality of the radio link. Additionally, the GNSS receiver at the station was replaced with a newer model that tracks all modern GNSS signals. The receiver also has an on-board ntrip server that allows for streaming of RTCM-formatted real time data directly to any specified caster. Although not currently established, a local ntrip caster may become available at INPE that will stream RTCM real time data sourced from the receiver at CHPI. RTCM 3 is the current IGS standard for real time data. 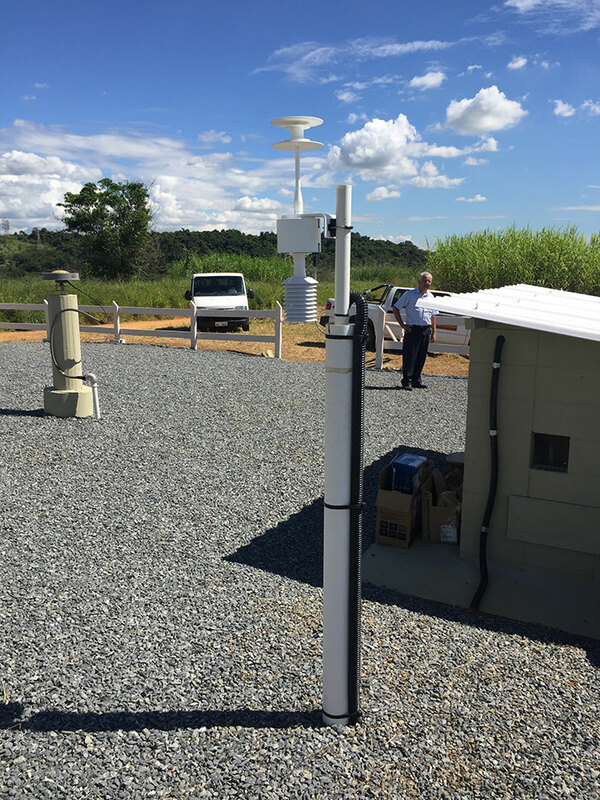 The pre-existing meteorological device at the station was also replaced with a new unit. After a few years of use, the device’s sensors require recalibration, particularly the barometer. The unit that was removed from the site will be re-calibrated at the manufacturer, and deployed back into the network at a later date. As GNSS signals travel to the earth’s surface, effects from the troposphere show up as delays in travel time from the satellites to the receivers. Having accurate local pressure and temperature at a GNSS station allows the IGS analysis centers to quantify these delays and publish them, on a site-by-site basis, for the geodetic community. 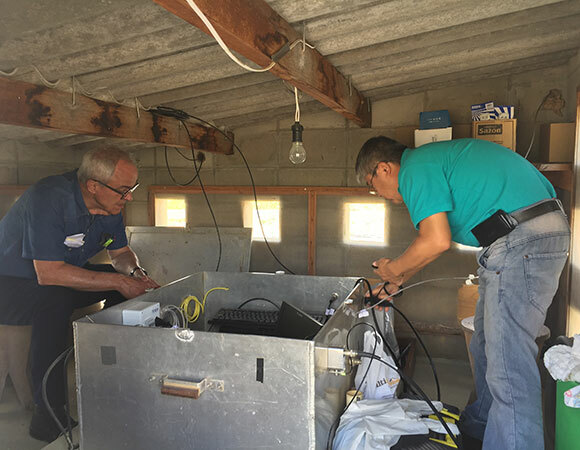 A common hurdle with field work in many foreign countries is the high cost of duties and taxes on expensive scientific equipment imported from the U.S. UNAVCO relies on customs exemptions that are sometimes allowed in certain countries when working with national institutions, such as INPE. 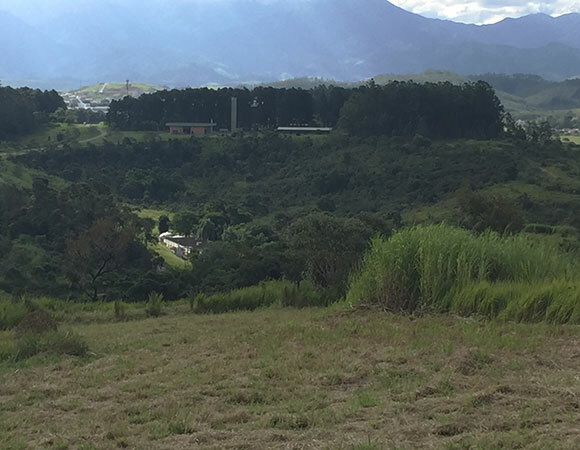 The new CHPI GNSS receiver alone would have cost thousands of dollars to import to Brazil, were it not for the assistance of the logistics department at INPE, who arranged for all of the new equipment to be shipped duty-free. Although providing a tremendous cost savings to the project, the process for such an importation required that the CHPI equipment be shipped months in advance of the field trip to allow for clearance of the goods.